Accessory Dwelling Units or ADUs are also known as second units, granny flats, in-law apartments, and backyard cottages. Lilypad Homes has the expertise to help homeowners create an ADU that functions as an independent living space for renters, family members, or in-home caregivers. Today’s homeowners, increasingly made up of empty nesters, single parents, retirees and those seeking a smaller environmental footprint, need flexible, more affordable housing options. These are in short supply given the predominance of large single-family dwellings. Fortunately, California laws have recently changed to simplify the permitting of ADUs, making it easier than ever to build private, independent units on existing single-family properties. Let Lilypad Homes help create your ADU to earn rental income, gain greater economic freedom, and provide much needed housing in your community. ADUs can range in size from studio apartments to multi-bedroom units, and can be created through new construction or interior conversion. A JADU (Junior Accessory Dwelling Unit) is a specially permitted type of interior conversion of conditioned space. Limited to 500 square feet, a JADU starts with a spare bedroom and adds an efficiency kitchen and an exterior entrance. It may share a bathroom and heating system with the main house. A JADU is typically the easiest and lowest cost way to create a private unit. Home sharing is a great way to earn rental income without taking on a construction project. Homeowners can rent out spare bedrooms and designate spaces within their home for shared use. This option can provide financial security, mutual assistance such as sharing household chores, and create a new sense of community. Local non-profits can help find suitable housemates and assist with screening. Home sharing provides less privacy than a JADU or ADU, but offers lots of benefits with little upfront cost. To evaluate this option, a Lilypad Homes Feasibility Assessment can help assess your space for the possibility of home sharing and provide guidance on next steps. ﻿Gain financial security by carving out unused space into a private, independent rental unit. This dependable source of income can help pay the mortgage, college tuition, or fund a much needed vacation. ADU rental income can make it possible for first-time buyers to afford a home. Imagine a young couple renting out their unit to a teacher from a nearby school. Later when their family grows, they include the unit as part of their home. Years later, when the children go to college, the unit is rented to an aging neighbor who has decided to downsize. Eventually, the couple retires, moves into the unit and allows their newly-married daughter to begin her family in the main home. ADUs provide flexible multi-generational living spaces that meet changing needs. Today’s homebuyers understand that their space needs will change over time as children leave the nest (and sometimes return), and aging parents need assistance. Multi-generational homes and properties with legal rental units garner a premium price. The housing market as a whole will go up and it will go down, but a property with a rental unit will always be desirable. While many Marin and Sonoma residents commute to San Francisco and beyond, thousands of others commute into our counties for jobs as teachers, nannies, medical staff, and public safety officers because our local housing options are scarce. ADUs can benefit our communities by adding housing units and including more of these important members of our work force as residents. By using existing land and housing infrastructure to create new homes (infill development), ADUs reduce the environmental footprint of housing and help retain the natural beauty of our environment. And by providing housing to local workers, commute hours and emissions are dramatically reduced. ADUs are an antidote to sprawl! What are the steps to create an ADU? Meet with Planning & Building Dept. If that seems overwhelming, Lilypad Homes is here to help. With a Lilypad Homes Feasibility Assessment, we tackle steps 1 and 2 and quickly get you on the road to flexible, more affordable housing. 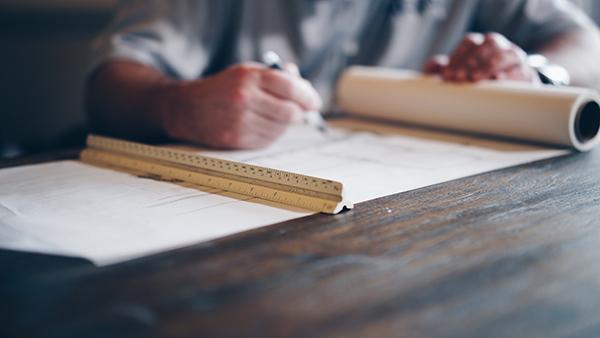 If you then choose to move forward, our Design and Consulting services can help take your ADU project to completion.